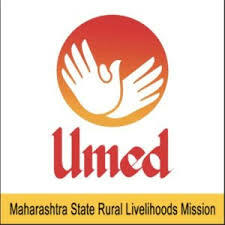 MSRLM JObs Recruitment Notification 2018.Maharashtra State Rural Livelihoods Mission (MSRLM) inviting applications for the positions of Cluster co-ordinator, Accountant, Admin assistant, admin & account assistant, data entry operator, peon posts.Interested and Eligible candidates can apply for the positions. Last Date for Submission of Application is on September 11th, 2018.. Applicants must be completed Degree/ S.S.C/ Diploma/ B.Sc Agriculture/ Graduate in Commerece/ Typing Knowledge in English with 03 years relevant experience. From the recognized Organization / University. Applicants minimum age limit is 18 years and maximum age limit is 45 years. Admin & Account Assistant – Rs.15,000/-. Data Entry Operator – Rs.10,000/-. Applicants may apply the application form through online from 29th August 2018 to 11th september 2018. Application fees for Gen/ OBC is Rs.375/-. And for SC/ST is Rs.275/-.